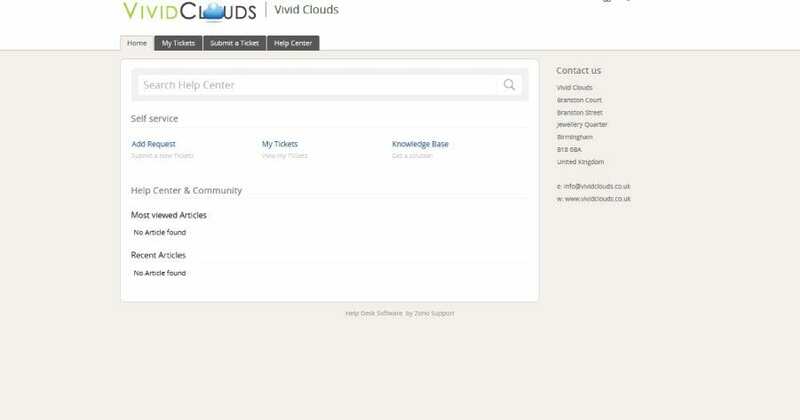 It’s a very exciting time here at Vivid Clouds as we gear up to launch our new Support Hub services. Over the past few weeks we have been testing various software applications and have final decided this is the one that will offer us the most flexibility and give us and our customers the results we are looking for. You’re probably wondering what does that have to do with you? Well it has everything to do with you, as your the reason why we implemented such a service. We often receive support request from our customers and it got to the point where we needed something that was more up to the job. Support Hub is your go to solution when you need to raise a support ticket in order to assist you with any questions you may have regarding our products or services. You can log a support ticket via email, phone or the Support Hub. Your request will be logged and converted into a support ticket which will then be assigned to one of our agents who will follow up. It may sound complicated but it is simpler than it sounds. If your the type that likes to fix things yourself, not a problem. Our Knowledge Base will provide you with information on all our products and services and will also provide solutions to help you troubleshoot any common issues you may be experiencing. How do I access Support Hub? 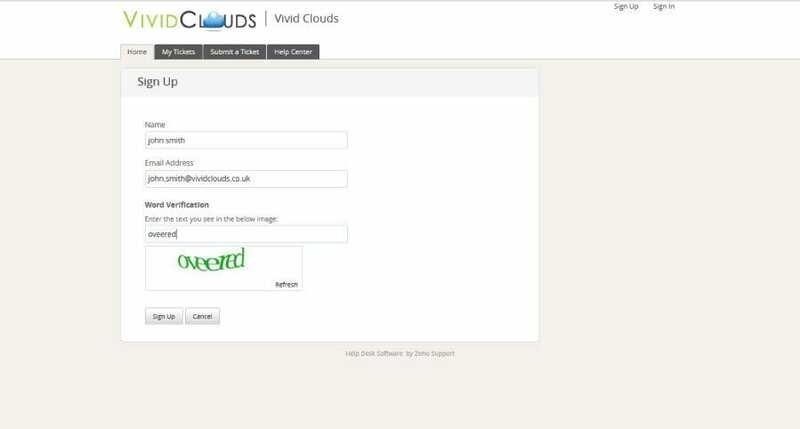 In order to gain access to the Support Hub you must first sign up via https://support.vividclouds.co.uk where you can create your user account to allow you to log support tickets. Add Request (Submit a Ticket) allowing one of our agents to look over any issues you may be experiencing. My Tickets (View Tickets) you will be able to view any current or previous support tickets raised. Knowledge Base (Get a Solution) you can view guides and solutions to all of our service offerings to help you be more self efficient and avoid the wait for one of our agents to get back to you. Some of you may be accustomed to sending your request via email. That is fine as long as you have signed up for a support account before hand, using your personal or business email address. You may log a support request by emailing [email protected] at which point your request will be automatically logged and assigned to one of our agents. So from here on it’s pretty much plain sailing as we have made it much easier for you to get in touch with us regarding any of our products and services. What are you waiting for? Go sign up an account and don’t forget to leave a comment below. We are open to suggestions and would really like to know what you think of our services so far. Thank you for using our service and reading our first official blog! Dwayne is the founder & Executive Director of Vivid Clouds from Birmingham, United Kingdom. You can often find him busy planning and organising the day-to-day operations at Vivid Clouds with a cup of coffee in hand.